Peake Products - the maker of the award winning, hogg roasting and cooking machine,' the Hogg Boss'. 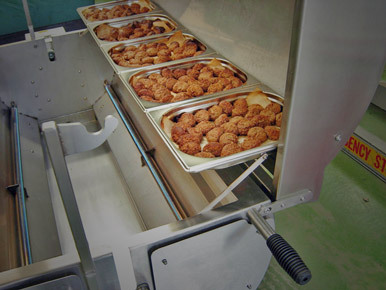 Our machines bring the timeless method of traditional hog roasting into the 21st century. Healthy, portable and designed in the Midlands, our machines give startling results, every time. Early civilization discovered advantages of spit roasting & still today it is a popular method of cooking offering taste truly hard to beat. Our hog roasting machines bring this timeless cooking method into the 21st Century with startling results. With ever increasing trends towards healthy eating our machines would be an obvious choice. The Hogg Boss is totally portable & can be transported to events and occasions with little effort. The Hogg Boss is a CE certified product & has been carefully developed by our experienced and dedicated design team with a specific eye for detail & extensive knowledge in the manufacture of this type of catering equipment. 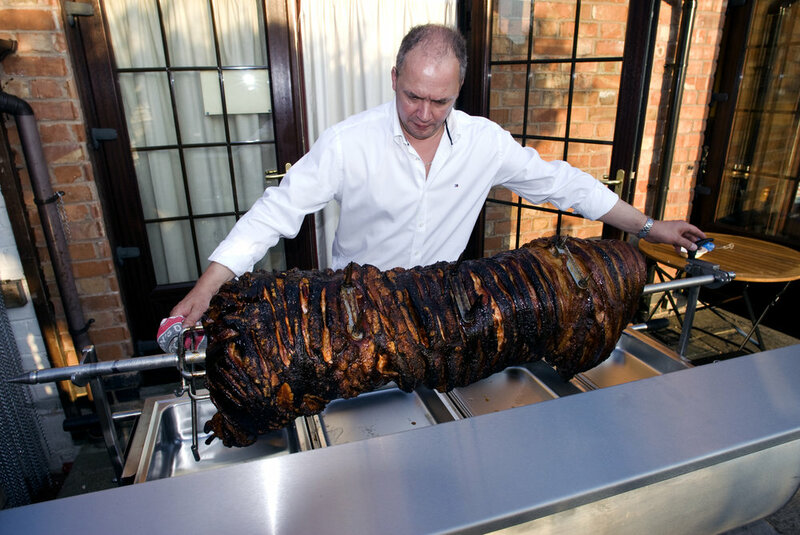 Our hog roasting equipment and other products are designed and manufactured at our Works in the heart of the Leicestershire countryside and offer outstanding quality, reliability, performance and visual appeal that is unmatched. Our products are developed using the most up to date design and manufacturing techniques, inclusive of CAD and Fibre Laser cutting. We aim to ensure that our products and equipment are of an unparalleled quality, only when our products have been extensively tried and tested are they released into the market place. We constantly monitor our products and manufacturing techniques and leave no avenues unexplored in our pursuit of excellence. To Purchase The Hogg Boss or any of our other products, please contact us directly, we do not use agents or outside distributors. Manufacturers of the award winning "Hogg Boss" mobile spit roasting oven, renowned for quality, reliability, dependability and ease of use. In terms of versatility the machine is so much more than just a hog roast oven, this machine is the "Swiss Army Knife" of all cookers, and it keeps on getting better. Manufacturers of "The Wok Boss" professional mobile wok cooker. We were asked to develop this product to fill a gap in the market. We achieved this with startling results. Specialists in Stainless Steel Sheet Metal Work and Steel Fabrications. Designers and manufacturers of commercial catering equipment. Innovative Design Engineers and manufacturers of problem solving solutions. Courtesy of our friend Chris Reilly of hog-roast.ie Thank you Chris! This enormous cottage pie took 1st and overall winning position in the MONSTER MUNCHES COTTAGE PIE COMPETITION and was designed and manufactured by ourselves Peake Products to enable the team to pull it off! Quite an achievement on our part considering that, from concept and design to completion, the whole apparatus was created in 7 days. I think we worked around the clock on this....... Here's a short movie of us creating it! !